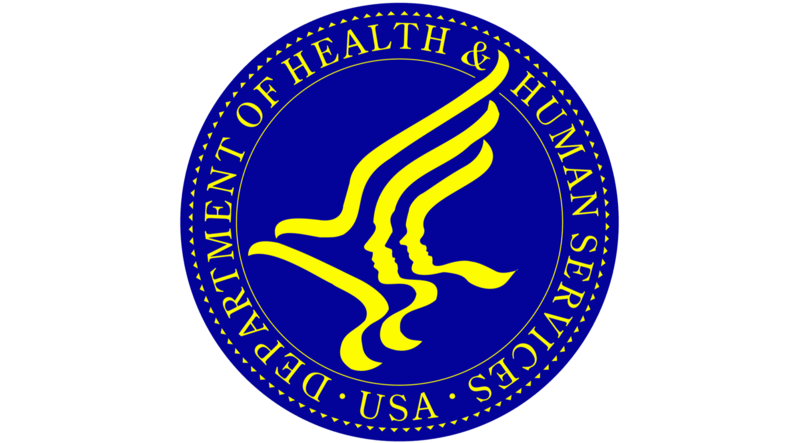 On Tuesday, Verato submitted public comment to the Office of the National Coordinator, Department of Health and Human Services regarding the 21st Century Cures Act Trusted Exchange Framework and Common Agreement (TEFCA). Verato recommends that TEFCA should specify an identity matching resource based on the next-generation of patient matching – Referential Matching. Read the full contents of the letter below. On behalf of Verato, we appreciate the opportunity to submit comments regarding the 21st Century Cures Act Trusted Exchange Framework and Common Agreement, as released on January 5, 2018. There are many components of the TEFCA proposal worthy of feedback – both positive reinforcements and proposed adjustments. This letter addresses just one of them, which is the patient matching technology necessary to underpin the Communications Broker. Specifically, this letter recommends that TEFCA should specify an identity matching resource used by all Qualified Health Information Networks (QHIN) and that the resource should be based on Referential Matching. Verato is a software company that offers a new kind of patient matching technology based on “Referential Matching.” We provide this matching capability as an API-based, cloud service to many customers including Health Information Exchanges (HIE), Providers, and Payers. Healthcare institutions use Referential Matching in two ways – either as a plug-in to improve the matching capabilities of their existing Epic®, Cerner®, and IBM® Master Patient Index (MPI); or as a more accurate Enterprise MPI (eMPI) or Record Locator Service (RLS) serving many healthcare systems. To set the stage for the discussion about matching, we would like to first reinforce the basic goals and some important premises underlying the TEFCA proposal. Verato believes that the end goals and vision of TEFCA are correct and necessary. We all want to ensure that: 1) providers have access to all health information for their patients, 2) patients should have easy access to all their health information, 3) health enterprises performing population health have the required information they need, and 4) innovative new IT applications access this information through an open API foundation. The only debate might be which ones are more important than others in the event all cannot be supported. But, at this point, we believe all are attainable and certainly should be pursued. Underlying all of these goals is the fundamental need for universal, consistent and reliable patient matching. The Communications Broker functionality described in TEFCA is, in essence, an Identity DNS. It says that a set of QHINs will collectively manage patient identity and record location information for hundreds of millions of patients contributed by many thousands of Participants. And, the QHINs must collaborate to create a virtual nationwide MPI and RLS so that all Participants and Individuals can access all appropriate healthcare information without having to deal with the underlying complexity of discovery and consolidation. The reason we don’t have this capability today is NOT because we don’t have HIEs and IHE/FHIR protocols. It’s because our current patient matching technology is not good enough. “Probabilistic matching” is the algorithm used by all modern patient matching software as exemplified in eMPI products and, to a lesser degree, in EHR products. It’s been around for over 30 years and we’ve squeezed every last match we can from it. With a lot of manual effort and constant tuning, it serves the matching needs within the four walls of a hospital system acceptably well because hospitals can impose very strict data standards, data governance, and tuning settings; and, they can hire half a dozen “data stewards” to resolve patient matches that the algorithm cannot. Even then, hospitals still see 8-12% patient duplication rates enter their EHRs and MPIs. Backlogs of hundreds of thousands or millions of potential matches are generated by these eMPIs and require human intervention to definitively resolve them. The weaknesses of probabilistic patient matching will get much worse when applied to networks like HIEs for two reasons. First, HIEs cannot impose the same degree of data format standards, data capture standards, data governance rules, algorithm tuning rules, and manual adjudication that hospitals can. So, they cannot be expected to achieve the same match rates as their contributing members. Secondly, it is a fundamental law of data science that data quality degrades rapidly as more disparate sources contribute to a database. So, if just one hospital in an HIE network introduces an unmatchable patient identity into the HIE, then every member hospital within the HIE will now be at risk of mismatching that patient on all future queries. HIEs can manage this compounding error effect reasonably well when the number of sources is limited to a modest-sized region. But, if QHINs aggregate the identities contributed from hundreds or thousands of Participants, the likelihood that an error being introduced for any given patient will be completely unacceptable for the operation of the TEFCA. Referential Matching can solve the problem of patient matching accuracy at QHIN scale. It does so by using a reference database of identities as an authoritative answer key against which all patient identities are compared. The reference database contains demographic information for the US population and includes a wide range of identity information for each person – nicknames, maiden names, current and former addresses, current and former phone numbers and emails. By comparing every patient identity to its corresponding reference identity, Referential Matching avoids the chain reaction of errors that occur when patient records must all be matched to each other. For Referential Matching to work within the TEFCA framework, it only needs to be used within the Communication Broker at the QHINs and does not require any matching changes at the Participant level. Identity errors and matching errors can exist at the Participant level, while QHINs using Referential Matching can sort out the correct matches. There is another remarkable characteristic of Referential Matching that will serve QHINs well, and that is its ability to inherently resolve identities between QHINs. If all QHINs use the same Referential Matching database (or cooperating databases), they will have mapped all of their patient identities to the same corresponding reference identities. In doing so, the identities from one QHIN will be instantly cross-mapped to the identities of all other QHINs with no extra matching required. A master cross-reference table would exist, where all possible patient identities are listed in the left column, and each QHIN simply checks off whether it has a given patient or not. Then, every QHIN would have instant visibility into where all of its patients exist at all other QHINs. In fact, the full solution would include more than just a checkmark – it would also include the participant-level enumerators (e.g. MRNs) at every hospital so that in queries to the Participant’s EHR, further matching would not be required. This eliminates the problem of wide disparity in matching capabilities of different EHRs, and between the largest hospitals and the smallest community hospitals. We recommend that the ONC expand the description of the Communication Broker to include a “National Patient Matching Resource” to be used by all QHINs. That resource could be run by the RCE to provide consistent Referential Matching services to the QHINs. It would become the backbone of the virtual MPI and RLS services offered by the QHINs and would exhibit matching capabilities commensurate with the accuracy and scale demanded by nationwide matching. Just as important, the success of the QHIN network will ultimately depend on how accurate the matching is. The RCE will want and need to establish only one or two matching systems that it can benchmark across all QHINs to ensure consistent matching everywhere. A National Patient Matching Resource need not be provided by a single vendor. The RCE could organize two or more Referential Matching vendors to collaborate in providing such a service. They would have to first harmonize their massive reference databases, but once done, multiple vendors could serve as part of this national resource. Each QHIN could choose whichever referential vendor best fit its needs. Just as important, the RCE could make this patient matching resource available to participating hospitals and HIEs as well. Because the resource is API-accessible, it can be used by all Participants with little upfront effort and can support equally the largest to the smallest enterprises. As participants use the patient matching resource for their local MPI needs, the whole system of patient matching would improve – from the hospital registration desk all the way to the TEFCA RLS – because it would be uniformly accurate and auditable. As a final and future benefit of a centralized Referential Matching approach, we would suggest that the reference databases put in place would be the ideal centralized foundation for patients to ultimately manage their own identity information. If and when the industry establishes a single federated authentication credential for US patients, then that credential can be used by patients to update their reference identity information directly, and have those updates flow down to the participating healthcare institutions. And, of course, this centralized and authenticated database could also become the foundation needed for nationwide patient-driven consent model. While there might be other ways to address the patient matching challenge needed to meet TEFCA’s goals, we will be very hard pressed to find one that does not depend on extraordinary new technology or standards to be imposed at every hospital system – including uniform data quality standards, consistent matching rules and algorithms, and consistent use of biometric capture everywhere. The lack of a winner of the $1M CHIME Patient Matching Challenge proved that. Moreover, we are unlikely to find a solution that supports the smallest and largest care facilities equally well. The Referential Matching approach isolates the changes to the QHINs alone and it has the extraordinary ability to improve the patient matching even above the level achieved at the Participant level. Imagine a QHIN network where Providers conclude that this centralized Referential Matching approach is more accurate than their own MPIs. Verato believes that we as a nation must not fall into the trap of believing that our existing matching technology can solve the problem, because history and experience have proven that it cannot. We need something new and better. And, that is Referential Matching.